When I decided to do the Whole30 program and then decided to continue with the Paleo way of eating, one of the hardest things for me to find was mayonnaise that didn’t contain soybean oil, canola oil or some type of seed oil. Even the mayo that says “with olive oil” on the label still contains the undesirable oils and isn’t 100 percent olive oil. So I decided to try making my own, and, man oh man! Am I glad I did. 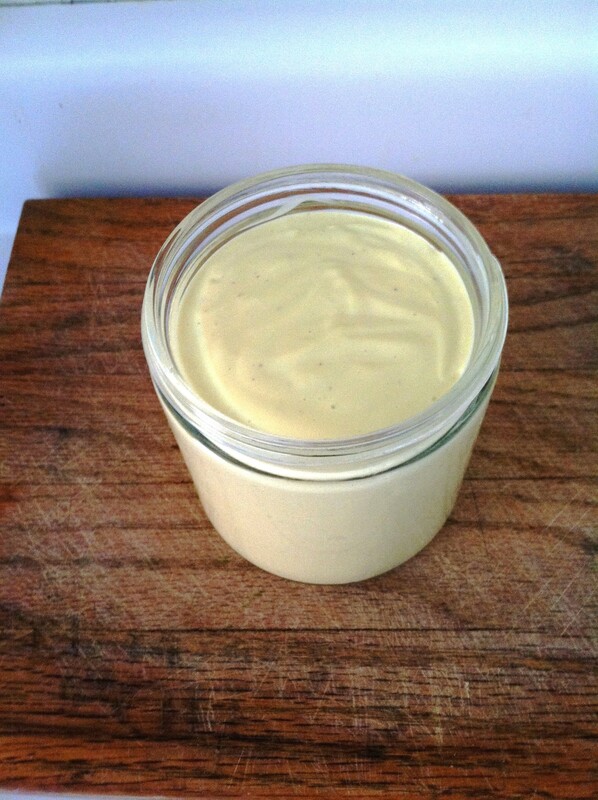 I will never go back to flavorless, lifeless, uninspiring store-bought mayonnaise again. I don’t often leave well enough alone, especially with recipes. I always change something. But I got this recipe from All Recipes.com and I haven’t altered it one whit, except I double it when I make it. Yield: one cup. Prep time: 7-8 minutes. Olive Oil Mayonnaise — except it doesn’t have the olive oil in it yet. Blend until smooth, then blend on low speed while pouring the oil into the blender in a fine stream as the mixture emulsifies and thickens. 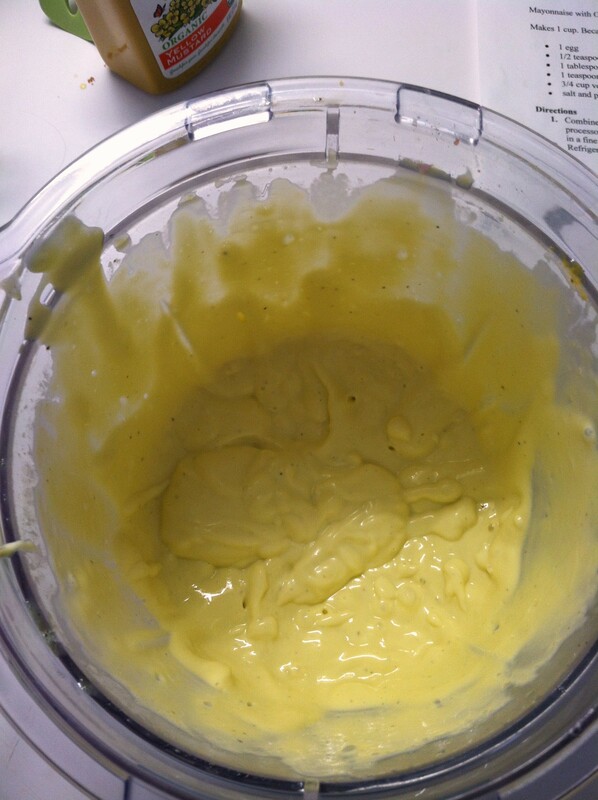 This is what the olive oil mayo looks like after the olive oil has been poured very slowly into the egg mixture. 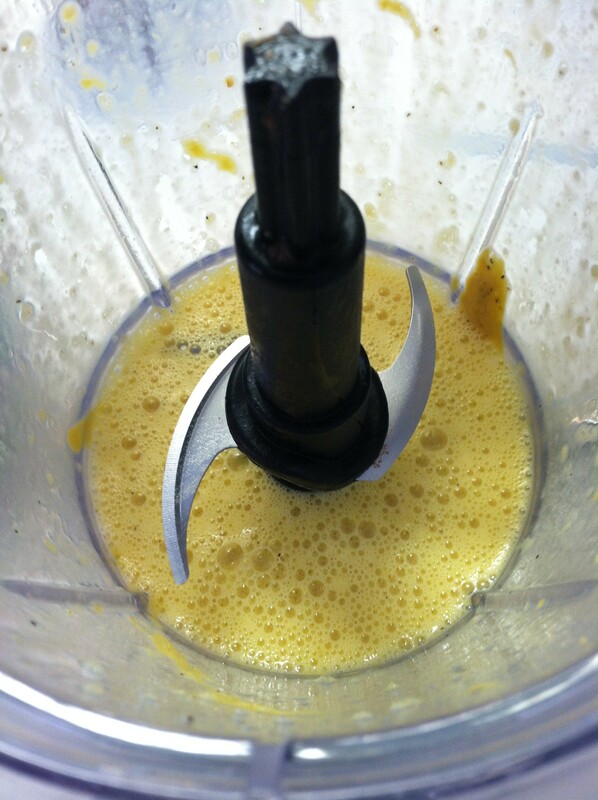 Take your time and keep the blender going as you pour. It will thicken up beautifully! That’s it. Really. Your family is going to love this stuff! This olive oil mayonnaise is so good you’ll never buy prepackaged again. It’s so easy, you won’t have to!